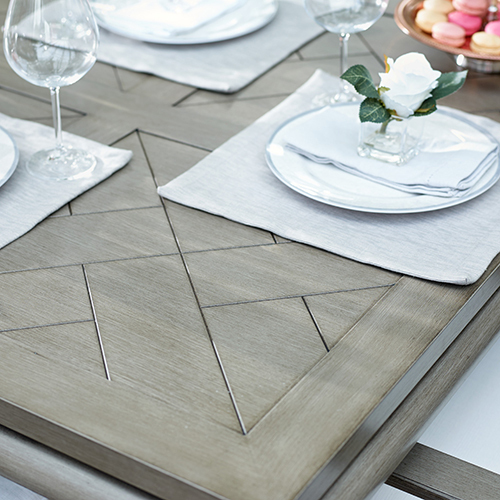 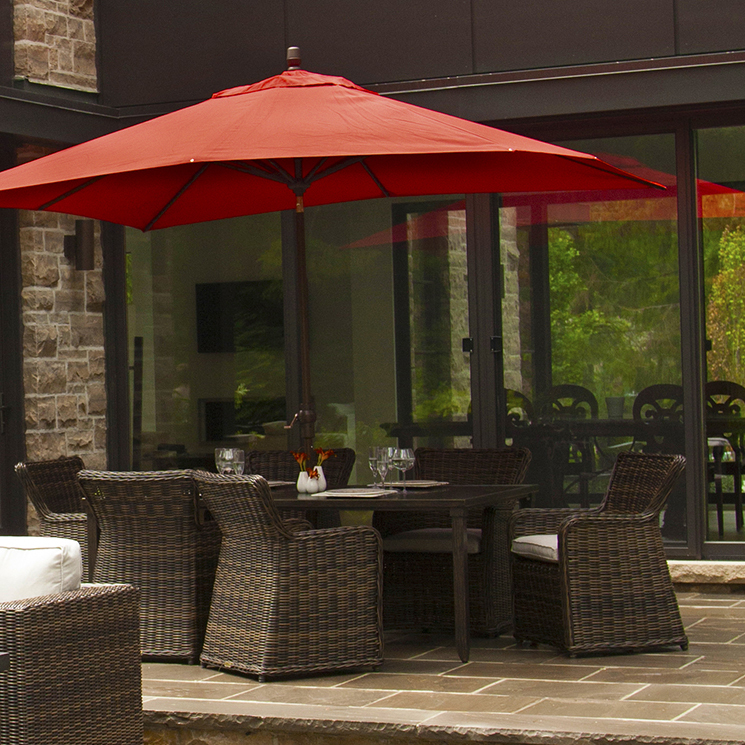 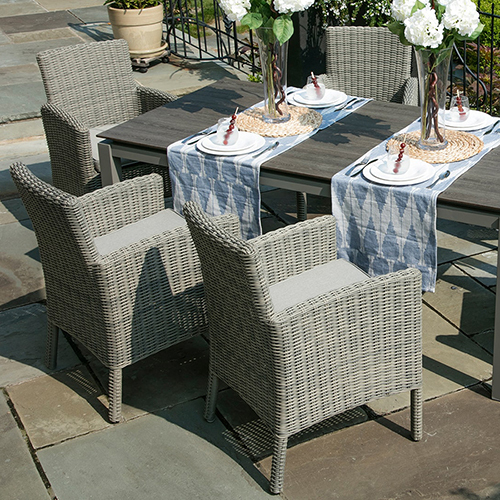 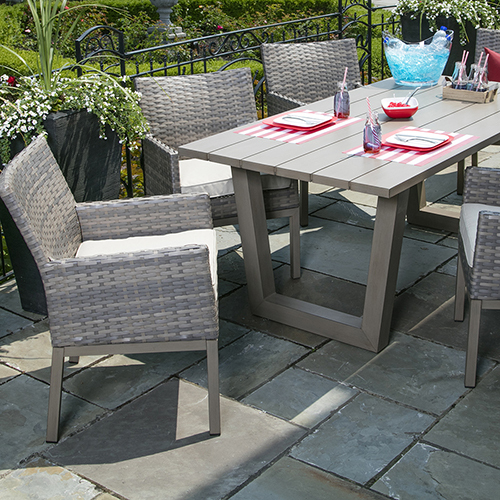 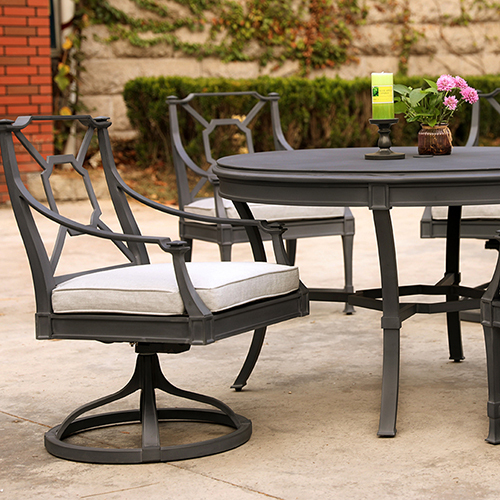 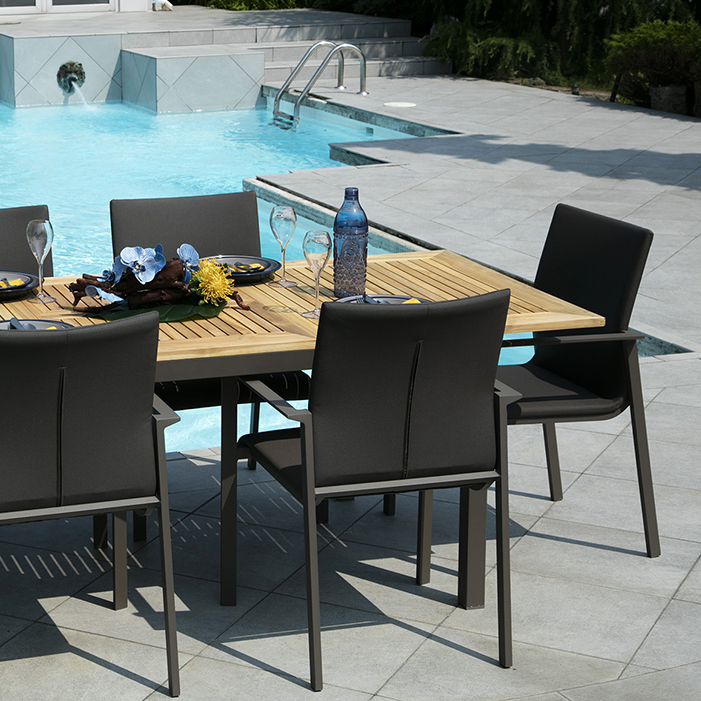 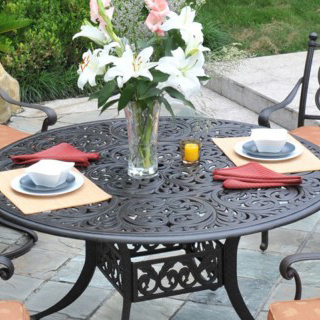 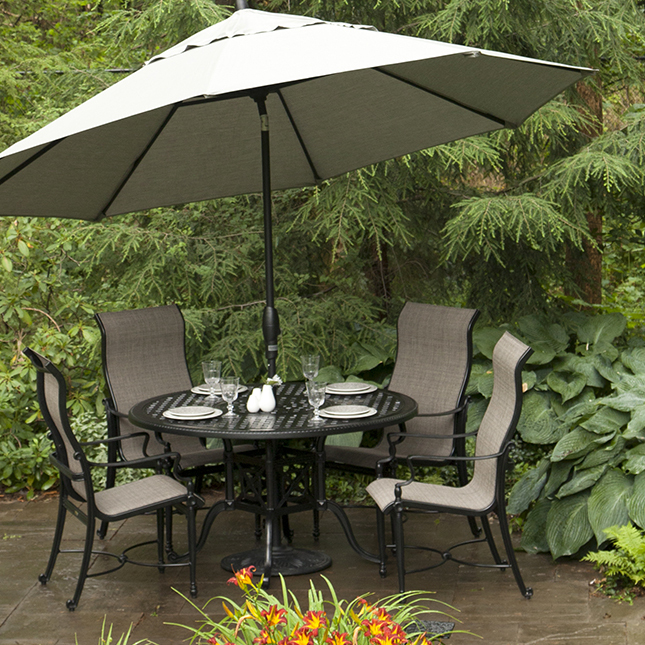 The Liverno collection is a versatile and elegant solution for your backyard entertaining needs. 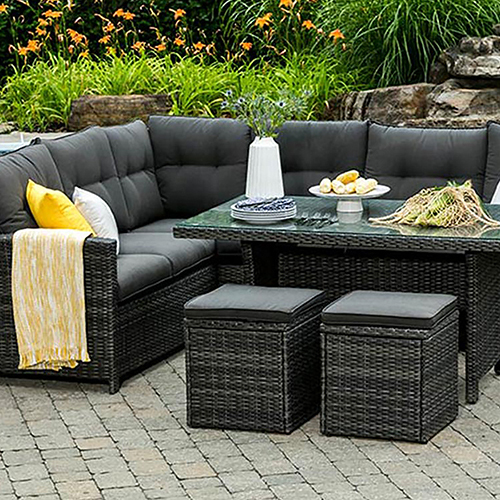 This set easily transforms to a dining set with available lounge chairs and a high top coffee table with the ability to group lounge chairs and rearrange the modular sectional into your new favourite seating area. 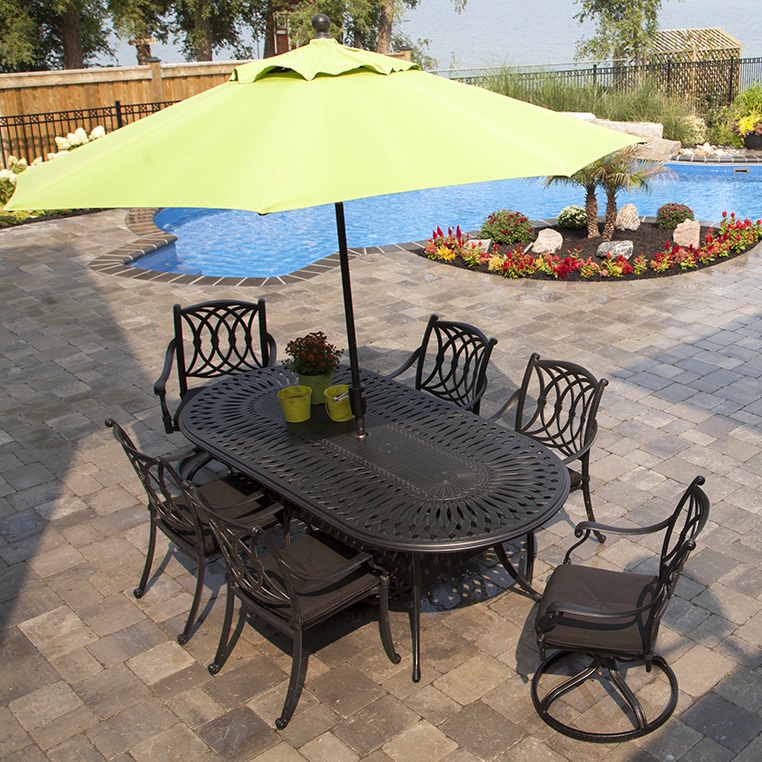 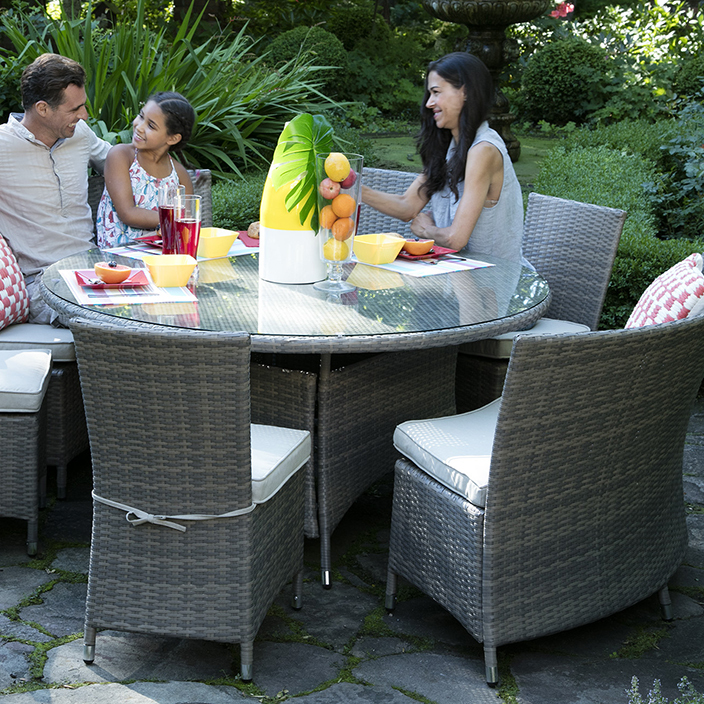 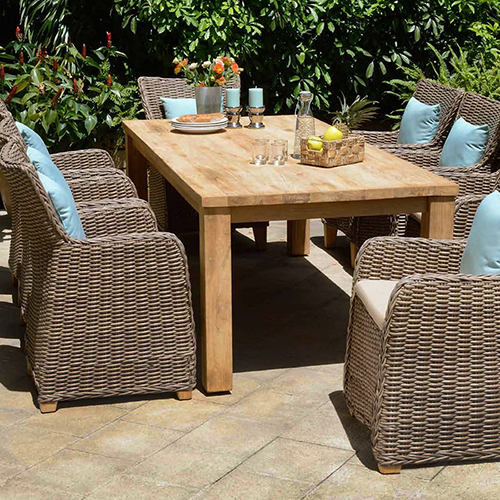 Available in both deep seating and dining, the Liverno has just what you need to create a backyard oasis you can be proud of.